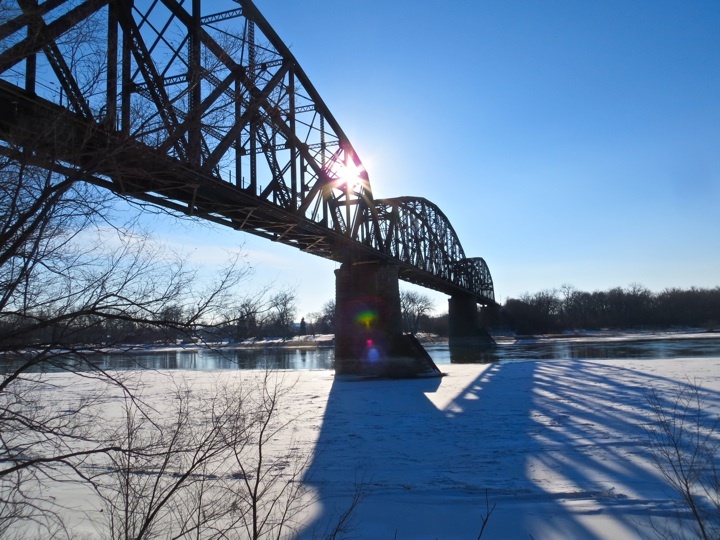 This is a historic pony truss railroad bridge that spans the Missouri River between Bismarck and Mandan. It is a cultural icon, and has an infinite amount of individual stories attached to it. Think of this for a second: one of the primary interests and concerns of historians is that memories are fixed to the stuff we use and live with. Memories are also fixed to the stuff that our parents, grandparents, and great grandparents used (landscapes, homesteads, historic buildings and structures included). Stuff is much more meaningful if it has those stories and memories fixed and secured to it. And it allows historians to do what historians are trained to do: track change through time. The Museum Collections Committee is looking for contemporary items from North Dakota businesses and organizations that you have purchased and/or used… or someone you know who would be willing to donate objects to the SHSND. The items should be relatively small (for space considerations). A history of the object(s), along with appropriate documents and photographs, would add much historical significance to the objects. Other items (used in ND) we are seeking include: beekeeping equipment and supplies; Highway 10 memorabilia; items showing ND school consolidation; solar power devices; objects from the Bank of North Dakota; contemporary powwow related items; contemporary immigration related items; and modern agricultural items such as GPS equipment, and air seeder/drill parts, etc. Consider this. It is important. If you have some sweet modern artifacts — in the business, we often call this contemporary or modern archaeology and history — with a memory attached to it, you might contact Registrar Thorson, or anyone from the SHSND Museum Collections Committee. It is by and for North Dakotans. This entry was posted on Monday, March 11th, 2013 at 10:45 pm	and tagged with Great Plains History, Public History, State Historical Society of North Dakota and posted in Uncategorized. You can follow any responses to this entry through the RSS 2.0 feed.